Social & Emotional / What are the outcomes for babies who are born bashful? Is being bashful an all downside? Opposite as you may think, being sensible or reserved in social situations is not problematic. It’s good that there are people who are more cautious about threats in the environment! Also, according to a research study, behaviors such as the coy smile is perceived as positive by our society (Weir, 2014). However, there are some downsides for bashful children such as, spending less time with peers, which is important for developing social and communication skills. 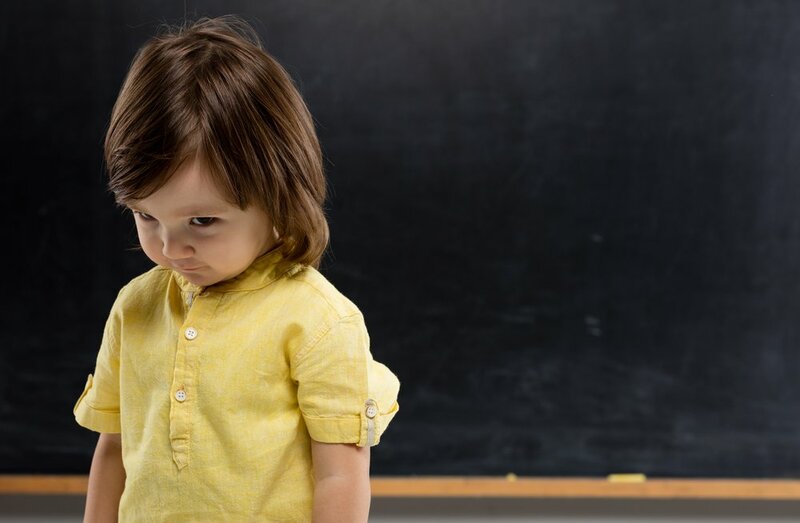 But, letting aside these small disadvantages, the biggest downside for a bashful child is the high risk of developing social anxiety (Weir, 2014). Even though most children who are bashful learn to adjust themselves as they enter adolescence, as many as 35% develop social anxiety. Later, social anxiety can lead to using drugs as social lubricants, or it can cause depression. The good news is that the majority of bashful children learn to manage their shyness and reactions throughout the years (Weir, 2014). What might help children regulate their shyness? According to a study by Perez-Edgar, babies who showed heightened attention to threats, were more socially inhibited as adults. Perez-Edgar suggests that we may help bashful children learn to focus their attention away from threatening stimuli. This way they might be able to change their behaviors and reduce their risk of developing social anxiety. Moreover, parenting significantly contributes to shyness. Even though we may want to overprotect bashful babies, we need to let them experience and cope with uncomfortable situations. By doing so, they might have the opportunity to practice regulating their reactions and feelings of shyness (Weir, 2014). As parents, we need to support our children, while also letting them do things on their own. To sum up, shyness is not a disorder and doesn’t have to be a problem for bashful children (Weir, 2014). If you have a bashful baby, just put him in the right environment, don’t be overprotective, and your little one should do just fine!